The 2017 Major League Baseball ended for the Chicago Cubs when they were eliminated in the National League Championship Series at the hands of the Los Angeles Dodgers. But the culture has changed for the Cubs as previous years would have them being eliminated in the playoffs as something for them to build off of. However after the Cubs won the World Series in 2016, things changed for the “Loveable Losers” as they are now expected to win. Each of the last three seasons have seen the Cubbies reach the playoffs and the new campaign will begin with Chicago seeking the make the postseason for a fourth consecutive year which would mark the first time in franchise history that this occurred. Cubs president of baseball operations Theo Epstein has given manager Joe Maddon a solid core of players to work with which begins with third baseman Kris Bryant and first baseman Anthony Rizzo. It hasn’t taken Bryant that long to become a household name as in three seasons with the Cubs, he has a World Series Championship to his credit, along with a National League MVP in 2016, and the Rookie of the Year in 2015. Bryant’s power numbers slightly dipped last season as compared to 2016, but he has become more disciplined at the plate, while he has the ability to have an on-base percentage above .400 as he should once again be in the running to be the N.L. MVP. Rizzo continues to be “Steady Eddie” for the Cubs in their lineup as he is a consistent 30-homer, 100-runs batted in guy. 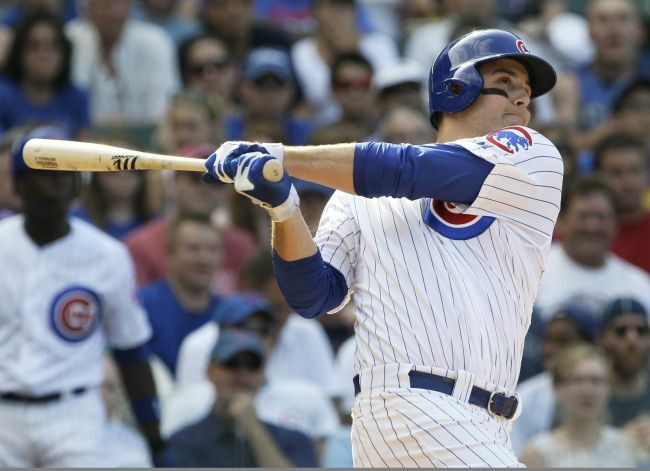 Rizzo is soft spoken, but he carries a big stick for the Cubs, while his defense at first base isn’t too shabby either. Last season Rizzo only committed three errors at first base as his ability to catch almost everything that is thrown at him bails out his fellow infielders as well as his pitchers. Rizzo already has one Gold Glove Award to his credit, and he will be in the running once more for the honor. But as the Cubs need not to worry about Rizzo and Bryant, it is the players around them that have the question marks. No Cubs regular player batted .300 or higher last season, but they were able make up for it at this team led the National League in on-base percentage (.338), while they were second in runs scored (822). In the brief Major League Baseball career of outfielder Kyle Schwarber, he has been a man without a position. The Cubs brought Schwarber up as a catcher, but quickly shifted him to left field. Schwarber was a liability behind the plate which led to the change, and he has struggled even more in the outfield. However Schwarber arrived at spring training this year sleeker as he trimmed down in the hopes of having more agility in the outfield. Going yard won’t be a problem for Schwarber as he hit 30 homers last season, but he only batted .211. Schwarber also needs to develop more plate discipline as he struck out 150 times in just 486 plate appearances. Outfielder/second baseman Ian Happ has a wealth of potential that is attached to him. Happ was the Cubs first-round selection in 2015, and he enjoyed a strong rookie campaign in 2017 as he hit 24 homers and drove in 68 runs to finish eighth in the National League Rookie of the Year voting. And now as Maddon seeks to find a spot for Happ in the everyday lineup, he must do his part to improve off of 2017 in order to avoid the dreaded “sophomore slump”. Shortstop Javier Baez has rounded into form and has become a solid player for Chicago. Baez is solid at the plate, and if he is able to reduce his errors in the field as he committed 11 at shortstop along, he should find himself in the running to be an All-Star. Catcher Willson Contreras is another of those youngsters that is coming into his own. Contreras has to the potential to be a 25-homer guy this season for the Cubs, but his true worth for this team will be in what he able to behind the plate for Chicago’s pitching staff. The Cubs had the top pitching staff in the National League in 2016 as their team earned run average of 3.15 led the way on the Senior Circuit. The Cubbies were fourth in the N.L. in team earned run average last season, but they stat line was at 3.95. The dominance was not there as the starting pitchers who were at the top of their respective games in 2016 found that their pitches that were making opposing batters look foolish en route to winning the World Series were now being put in play and leading to offense for opponents. Starting pitcher Jake Arrieta led the Cubs in victories last season with 14, but once he became an unrestricted free agent this off-season, Epstein chose not to re-sign him. 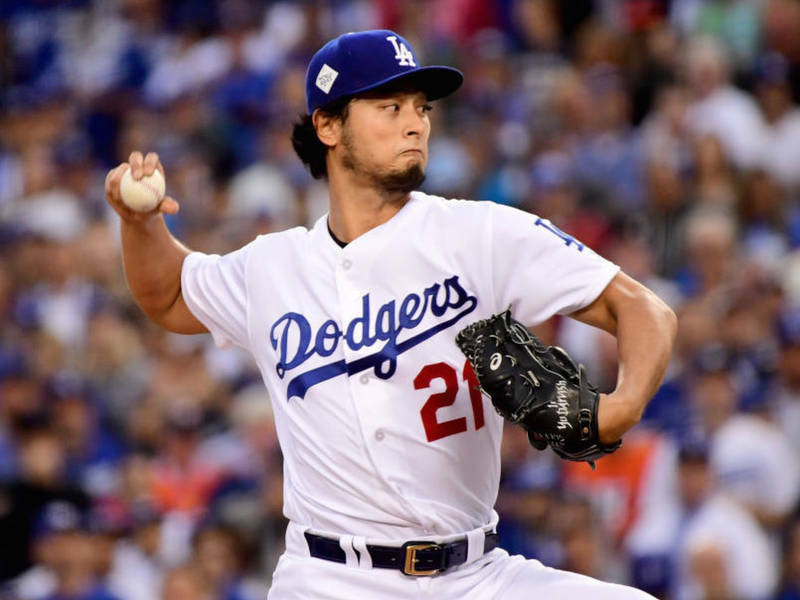 Epstein and the Cubs instead opted to sign starting pitcher Yu Darvish as the two sides agreed to a six-year deal for $126 million. Darvish came to the United States from Japan in 2012 as he was signed by the Texas Rangers. In nearly five years with the Rangers, Darvish was 52-39 in five years with the Rangers to go along with an earned run average of 3.42. Darvish was traded to the Los Angeles Dodgers last season. Darvish was important for the Dodgers during their World Series run which included picking up a victory over the Cubs in the National League Championship Series. However pitching in the World Series would not be as kind to Darvish as in two starts versus the Houston Astros, he was 0-2 with an earned run average of 21.60, while he only completed 3.1 innings which included losing Game 7. But the Cubs brain trust is convinced that Darvish can put those postseason woes behind him in order to be a solid contributor to their starting rotation. After starting pitcher Jon Lester won 19 games in 2016 to finish second in the National League Cy Young Award voting, he took a huge step backwards last season and you have to wonder if his skills are beginning to diminish. Lester’s earned run average jumped from 2.44 in 2016 to 4.33 in 2017. Lester is 34-years of age, and whereas the lefty could once breeze through batters with his fastball, it is now time for him to reinvent himself on the mound and become a pitcher who focuses more on location. Starting pitcher Jose Quintana will give the Cubs depth in the rotation, but which Kyle Hendricks will they get? In 2016, Hendricks came out of nowhere to win 16 games for the Cubs and have the lowest earned run average in the National League at 2.13. However last season was not as kind to Hendricks as injuries limited his effectiveness which resulted in him going just 7-5. After losing relief pitcher Wade Davis in free agency, the Cubs have a hole in regards to their closer. Maddon could go with a closer-by-committee to begin the season with the likes of relief pitcher Mike Montgomery getting a chance to audition for the role early on. The Cubs will face some stiff competition early on in the season from the Milwaukee Brewers and St. Louis Cardinals as they are each hopeful to overthrow the two-time defending National League Central Champions. 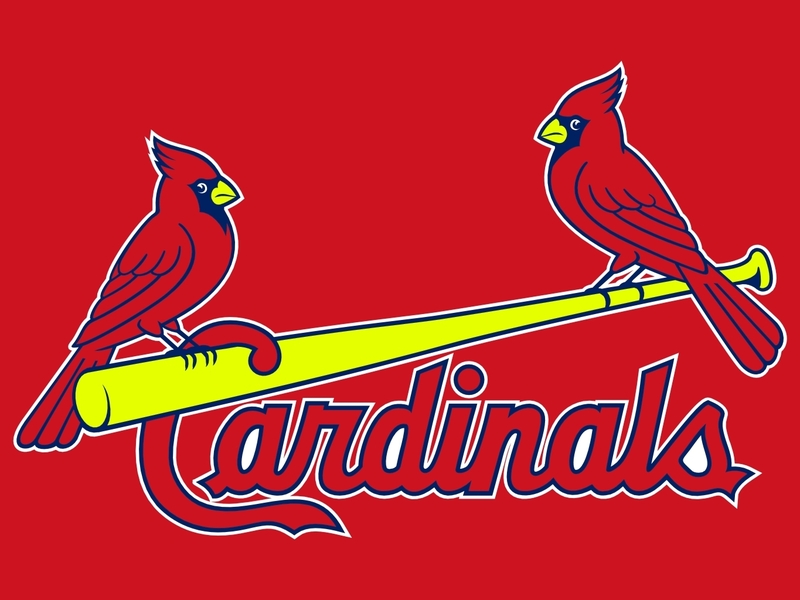 The last ten years have seen the St. Louis Cardinals never post a losing record, while they were able to lay claim to a World Series Championship in 2011. But each of the last two seasons have seen the Cardinals fail to make the postseason as they were done in by age and injuries. St. Louis has also missed out on bringing in star players via free agency as the Gateway City has not been that appealing to free agents. However in spite of that it continues to be all about “The Cardinal Way” as St. Louis remains as one of the best franchises in Major League Baseball in regards to developing talent that fits into their system. And for Cardinals president of baseball operations John Mozeliak and manager Mike Matheny, the 2018 MLB season will be another opportunity for them to produce a team that will focus on the fundamental baseball which they are hopeful will lead to many victories. Whereas the Cardinals have not been able to strike it rich in free agency, they’re making use of the trade market. This off-season has seen the Miami Marlins have another one of their infamous “fire sales”, and the Cardinals were able to get in on the fun as they acquired outfielder Marcell Ozuna. Ozuna comes to St. Louis fresh off of his best season in Major League Baseball. Last year Ozuna led the Marlins in batting average at .312, while he also belted 37 homers to go along with 124 runs batted in. Ozuna also made his second All-Star Game, while taking home Golden Glove, and Silver Slugger Awards. However Ozuna benefited from playing at Marlins Park which was a hitter friendly site along with being in the lineup with outfielder Giancarlo Stanton who belted 59 homers last year en route to being selected as the National League MVP. Now Ozuna is expected to be the guy in St. Louis where the Cardinals are desperate for a big bat in the middle of the lineup. However Ozuna should be up for the challenge as he is a pending free agent in a few years which could lead the Cards to lock him up to a long-term deal now at a slightly cheaper rate if he produces this season. St. Louis’ minor league system continues to churn out players who fly under, but they quickly become contributors, and infielder Paul DeJong falls into that category. In 108 games for the Cards last season, DeJong batted .285 with 25 home runs and 65 runs batted in to finish second in the National League Rookie of the Year Award voting. DeJong should have another solid season for St. Louis as he fits that mold of a guy that’ll do whatever it takes in order to win. Speaking of players that will do whatever it takes in order to win, infielder Matt Carpenter falls into that category. In seven seasons with the Cardinals, Carpenter has played at five different positions, and if Matheny ever asked him to pitch or catch, I am sure that he would not refuse. Offensively Carpenter only batted .244 last season, but he produced an on-base percentage of .384, while being tied for second on the team in homers with 23. Carpenter is a player that won’t be selected early in fantasy baseball, but on the field he’ll do whatever it takes to contribute. 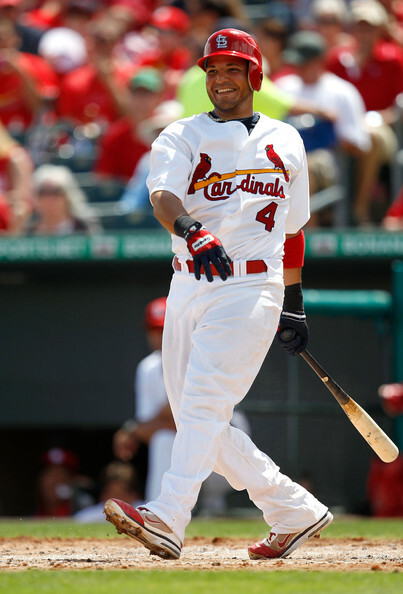 Last season outfielder Tommy Pham led St. Louis in batting average (.306), and he should benefit from having the presence of Ozuna in the lineup. Pham is another one of those consistent hitters in the Cardinals lineup who’s .411 on-base percentage helped St. Louis have the fourth best OBP in the National League. Under the guidance of hitting coach John Mabry, Pham and the other Cardinal hitters know how to work the count and get on base. And in the case of Pham, his ability to be a contact hitter, along with bringing power to the plate, he gives more balance to an already solid lineup. Second baseman Kolten Wong has been an enigma ever since he joined the Cards lineup on an everyday basis in 2014. St. Louis drafted Wong in the first round of the Major League Baseball Draft in 2011, but he has yet to have that consistent impact for the Cards. Wong was able hit a career-high .285 to go along with an on-base percentage of .376 last season. But Wong must find a way to build off of that and become a consistent table setter in the middle of the Cardinals lineup, while also becoming more efficient on defense. Last season Wong committed 10 errors and he needs to set the tone in the middle; especially in regards to turning double plays. Then there is catcher Yadier Molina who has been the linchpin for this Cardinals team for more than a decade. Molina may no longer be an MVP candidate as the wear and tear of being a Major League Baseball catcher has taken its toll on his body, but he is still very important to this club. Molina’s batting average dipped nearly 30 points last season, but he always knows how to get the keys hits. Molina still remains one of the best in MLB in regards to calling a game behind the plate for a pitching staff which is what makes him most valuable to the Cardinals. The Cardinals team earned run average of 4.01 was sixth in the National League last season, while they were fourth in quality starts with 79. Starting pitcher Carlos Martinez enters 2018 coming off of the first season that he three at least 200 innings in a campaign, and you have to wonder what affect that this will have on his body. Martinez is a very important piece to the Cards pitching staff as he’ll need to win at least 15 games to give this club a legit shot at the postseason. At 36-years of age, starting pitcher Adam Wainwright is no longer the Cy Young candidate that he was earlier in his career, but he knows how to pitch as well as being mentally and physically prepared to take the mound every fifth day which is something that he can pass on to the youngsters on the Cards pitching staff. Matheny could use a closer by committee when the season begins. But as a whole St. Louis should benefit from new pitching coach Mike Maddux who had previous success with the Texas Ranges and Washington Nationals as he helped both organizations reach the postseason. St. Louis is one of those teams that will begin the season flying under the radar. But in typical Cardinals fashion they will find a way to hang around in the playoff race and come on strong at the end. The 2017 Major League Baseball season saw the Milwaukee Brewers sneak up on people in order to flirt with being a playoff contender. Milwaukee was not expected to be a contender, but all season long they challenged the Chicago Cubs for first place in the National League Central until they ran out gas coming down the stretch. The Brewers also finished one win behind the Colorado Rockies for the final wild card spot in the N.L., but instead of licking their wounds, this team went out and got better in the off-season with an eye towards the playoffs for this October. Brewers general manager David Stearns has been hard at work this off-season in order to give manager Craig Counsell a quality team to work with for 2018. The biggest move that the Brewers made this off-season was to take advantage of the Miami Marlins fire sale and acquire outfielder Christian Yelich. Yelich is a balanced player that would get more recognition if he was playing on a winner. Yelich is a career .290 hitter that has the potential to hit 20 home runs and drive in 90 runs. Yelich also has a knack for getting on base as he has a career on-base percentage of .369. But aside from what Yelich can do at the plate, he has tremendous range as a center fielder. 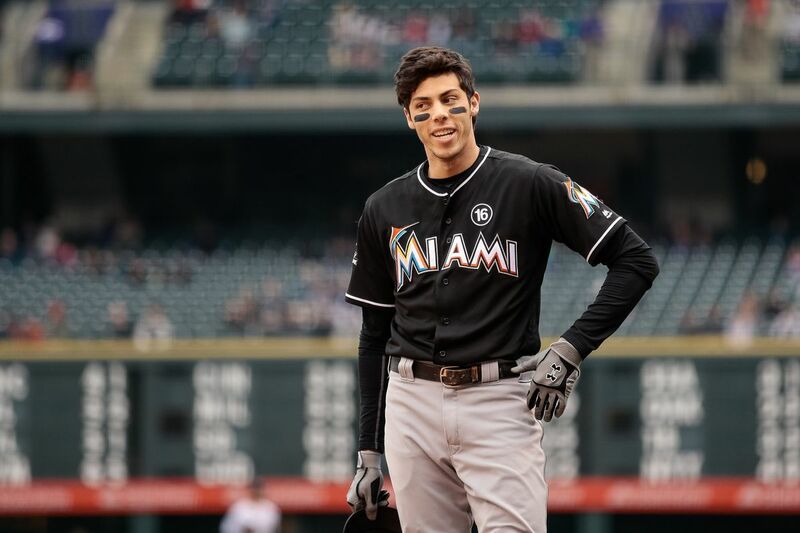 Up to this season Yelich spent his entire Major League Baseball career playing for the Marlins and he played his home games at Marlins Park which has one of the largest outfields in baseball. Yelich already has one Gold Glove to his credit and his ability on defense should come in handy this year for the Brewers. Yelich is also the perfect hitter to be near the top of Milwaukee’s lineup due to the sluggers that are behind him. Last year the Brewers were tied with the New York Mets for the most home runs hit in National League with 224 and you can expect more of the same this season. After being out of Major League Baseball for several years, first baseman Eric Thames became a household name last season. Thames was tied for club lead in homers with 31, but 11 of those came in the first month of the season. Thames struck out 163 times in just 469 at-bats last night as he is the quintessential power hitter. But as Thames also has a knack to hit homers in bunches, the Brewers are hopeful that he can have one of those runs in 2018 in order to carry the team. If outfielder Domingo Santana is able to build off of his 2017 campaign, he will be a sleeper in the National League MVP race this season. Santana finally got his chance to be an everyday player for Milwaukee and he rewarded them by hitting 30 home runs and driving in 85 runs. In two years with the Boston Red Sox, third baseman Travis Shaw flashed his potential, but it was not fully recognized until he was traded to the Brewers. Last year Shaw enjoyed a career season which included him belting 31 homers and driving in 101 runs. Shaw’s presence in the Brewers lineup gives this team more depth as this year’s squad could resemble “Harvey’s Wallbangers” from 1982. 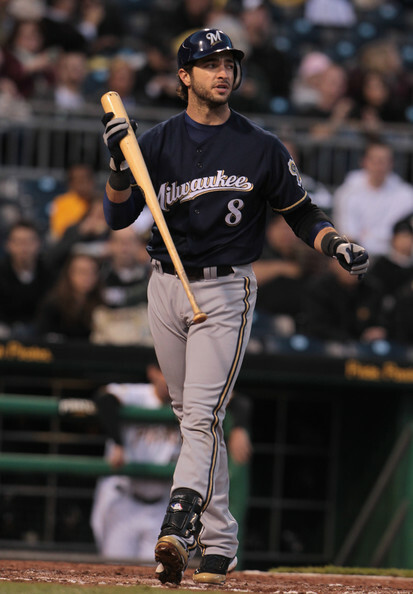 Outfielder Ryan Braun has been a lightning rod of controversy in recent years due to a suspension for testing for using performance-enhancing drugs. However Braun has continued to get the job done and will will go down in history as one of the franchise’s best players. Braun came up with the Brewers as a third baseman before moving to the outfield and now he’ll be asked to return to the infield. During spring training the Brewers have been experimenting with using Braun at first base which has not been smooth as it will be a work in progress. And although that it has yet to be determined where the 34-year old Braun will be playing on defense this season for the Brewers, he should ready to contribute. The Brewers also dipped into free agency this off-season when they signed former Kansas City Royals outfielder Lorenzo Cain. Once upon a time, Cain was drafted by the Brewers before he was traded to Kansas City in a deal that centered around Milwaukee receiving starting pitcher Zack Greinke. Cain is not a big power guy, but he is a career .290 hitter with an on-base percentage of .342. Cain also knows how to flash the leather in right field, and what he gives Milwaukee is a proven leader. Cain was one of the unsung heroes for the Royals when they won the World Series in 2015, and he is one of those players that will do whatever it takes to win which is an element that is needed for all championship teams. The Brewers pitching staff will be led by starting pitcher Zach Davies who is out to show that last season was not a fluke. Davies won 17 games for the Brewers last season, but he was bailed out by the team’s offense and the defense behind him. Davies had an earned run average of 3.90, while he only recorded 124 strikeouts in 191 innings pitched. Davies is not a power pitcher which means that it’ll be important for Milwaukee to be sharp on defense behind him. Starting pitcher Jhoulys Chacin has bounced around Major League Baseball as the Brewers will be the sixth different team that he has pitched for. Chacin has been up and down throughout his career, but Milwaukee will need some of his experience to rub off on the likes of Davies. Relief pitcher Corey Knebel is another one of those Brewers who is looking to build off of having a career year. Knebel saved 39 gmaes for Milwaukee last season which was tied for third in the National League. In 76 games for the Brewers last season, Knebel struck out 126 batters as his fastball will once again be a problem for batters in the ninth inning. In 2017, the Brewers were able to sneak up on most of their opponents as their overachieving led to Counsell being named as the National League’s Manager of the Year. But now the hard part for Counsell and the Brewers will begin as they have to find a way to win when it is expected. From 2010-2013, the Cincinnati Reds made three trips to the postseason which included winning a pair of National League Central Titles. But since then the Reds have fallen on hard times as they have four consecutive losing seasons to their credit which includes losing 94 games in each of the last two years. The Reds have found themselves in the midst of the “small market blues”. After being a contender for several years, Cincinnati couldn’t afford to pay lofty salaries to the majority of their key players from their postseason runs, and subsequently the majority of them have been traded away. Bryan Price has four years under his belt as the manager of the Reds, and although that there are some folks who would like to see him get his walking papers, the team’s management has stuck by him as this team is in the development process. Cincy is in the midst of a rebuild, and it’ll be interesting to see how things will come together for them this summer in Southern Ohio. The Reds offense continues to benefit from playing 81 games each year at the Great American Ball Park. The Great American Ball Park is one of the more hitter friendly parks in Major League Baseball, and the Reds took advantage of that last year as they belted 219 homers which was sixth in the National League. Cincy had three players hit at least 30 homers in 2017 and the long ball should once again be in vogue for them this year. In 11 years with the Reds, the exploits of first baseman Joey Votto have not gone unnoticed. In 2010, Votto became the first Reds player since Barry Larkin in 1995 to be named as the National League’s MVP and he has continued to be one of the games best hitters. Votto is 34-years of age, but like a fine wine he continues to get better with time. Votto has developed more patience at the plate as last year marked the first time in his career that recorded at least 500 at-bats in a season and did not strike out 100 or more times. Aside from striking out less last year, Votto led the N.L. in walks (134), as well as on-base percentage (.454). Votto finished second in the N.L. MVP voting last season and he should once again be a shining light for the Reds in 2018. Another player to keep an eye on in the Reds lineup this year will be outfielder/first baseman Adam Duvall. Duvall became an everyday player in Cincinnati’s lineup in 2016 and he’s made most of his opportunity. In the last two seasons Duvall has belted 64 home runs, while driving in 202 runs. But unlike Votto, Duvall is more prone to striking out. Last season Duvall struck out 170 times which was sixth in the National League, however he can make up for it with the pop in his bat. Aside from Votto and Duvall, infielders Scott Schebler, Scooter Gennett, and Eugenio Suarez also have the potential to once again each hit 25 homers which should provide Cincy with one of the more dangerous hitting lineups in the National League. But what will once again compromise the Reds chances of being a playoff team will be their lack of quality pitching. In 2017, no Reds pitcher won at least 10 games, while their team earned run average of 5.17 was last in the National League. The Reds were only able to record 54 quality starts which was tied for last in the N.L. which simply put will not cut it. Aside from no Reds starting pitcher being able to win at least 10 games last season, no starting pitcher was able to complete at least 150 innings which not only taxes a bullpen, but also put added stress on a lineup. And with the Reds not having any clear solutions to fixing their pitching woes, they’ll once again be fighting an uphill battle in the N.L. Central. I expect the Reds to start off strong as they will show some signs of improvement, but the lack of quality starting pitching will be too much for them to overcome, and they will eventually taper off as the season progresses. After three straight postseason appearances from 2013-2015, the losing ways that have plagued the Pittsburgh Pirates for the majority of the last 25 years are once again front and center in Western Pennsylvania. The Pirates have two consecutive losing seasons under their belt, and a frustrating off-season has riled up their fan base, while also not giving them that much hope for 2018. After nine years with the Pirates which included being named as the National League MVP in 2013, McCutchen was traded this off-season to the San Francisco Giants. And McCutchen’s departure will leave a huge hole in the Pirates lineup as he led the club in batting (.279), homers (28), and hits (159) last season. But McCutchen’s deal wasn’t the only one which was made by the Pirates as starting pitcher Gerrit Cole was traded to the Houston Astros. After the Pirates made Cole the first overall pick of the 2011 Major League Baseball Draft, he became a solid pitcher for them which included winning 19 games in 2015 en route to finishing four in the National League Cy Young Award voting. But with McCutchen set to become a free agent after this season, while Cole was staring at free agency in 2020, the small market Pirates wanted to make sure that they were able to get something in return through the trade market for two of their best players. 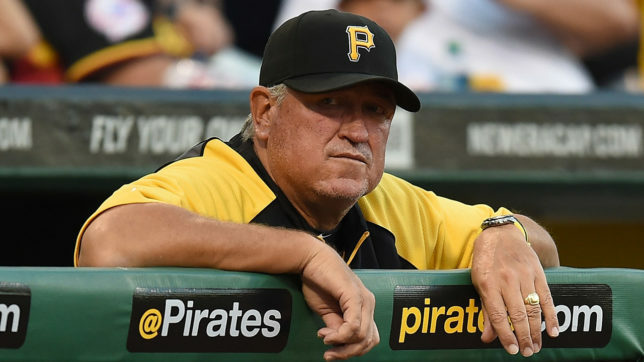 And for Pirates manager Clint Hurdle who is beginning his eighth season with the team, the departures of McCutchen and Cole leave huge voids with this club, but he must find a way to get his team to compete in the National League Central. With the trades of McCutchen and Cole, there has been speculation that infielder Josh Harrison could be dealt as well. Harrison could become a free agent after this season as the Pirates have a team option of $10.5 million on him for 2019, while they could also buy him out for $1 million. In seven years with the Pirates, Harrison has become a solid player, but that was as he had the benefit of playing in the same lineup as McCutchen. But one Pirates player who could become the next franchise player is first baseman Josh Bell. Last year Bell finished third in the National League’s Rookie of the Year voting as he batted .255 with 26 home runs and 90 runs batted in. Bell still has some development ahead of him as a player which includes working on his plate discipline, but what he is right now is a solid bat for the Pirates in the middle of their lineup. Outfielder Starling Marte is seeking to get his career back on track after a failed drug test saw him miss 80 games last season. Marte has been a solid hitter for the Pirates, but his biggest contribution to this team comes on defense as he is a two-time Gold Glove Award winner. The departure of Cole will undoubtedly leave a void for the Pirates in their rotation as starting pitcher Ivan Nova has now become the de facto ace of this staff. In two seasons with the Pirates, Nova is 16-16 with an earned run average of 3.86. And in eight Major League Baseball seasons, Nova has never reached the 200 innings mark. The Pirates are in need of a leader for this staff, but I am not sure if Nova can be that guy. Relief pitcher Felipe Rivero saved 21 games for the Bucs last season, and if he is able to duplicate that success or even surpass it this season, you can expect him to be traded to a contender as it will be a long shot for the Pirates to be a contender in 2018. The Pirates are in an unofficial rebuild which means that they’ve already waived the white flag for the 2018 season before it has even started.